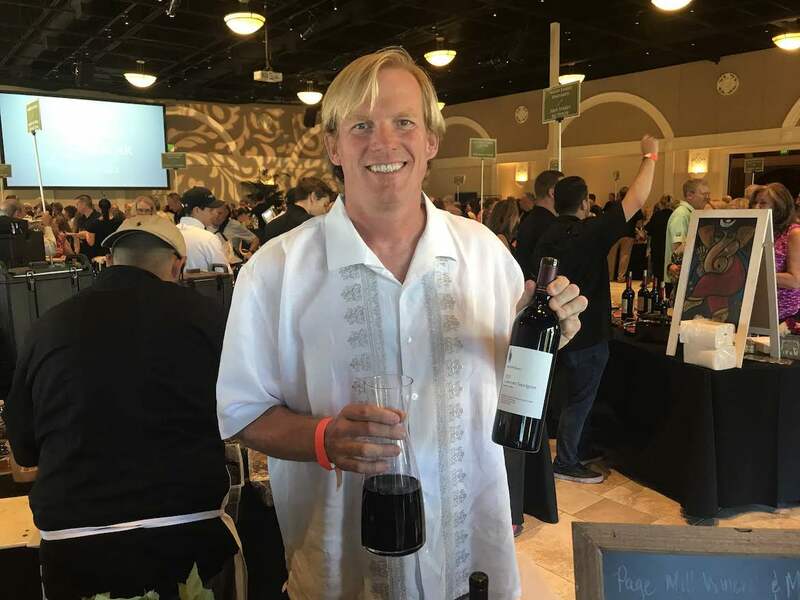 Every July the Livermore Valley Winegrowers Association unrolls Taste Our Terroir (TOT), a indulgent food and wine weekend across this East San Francisco Bay wine growing region. Vinous and culinary deliciousness were on full display on July 26 at the TOT wine and food pairing competition. 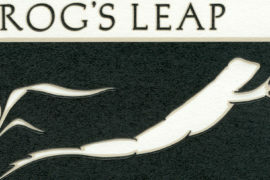 All of the wines had to be made with Livermore Valley grapes. 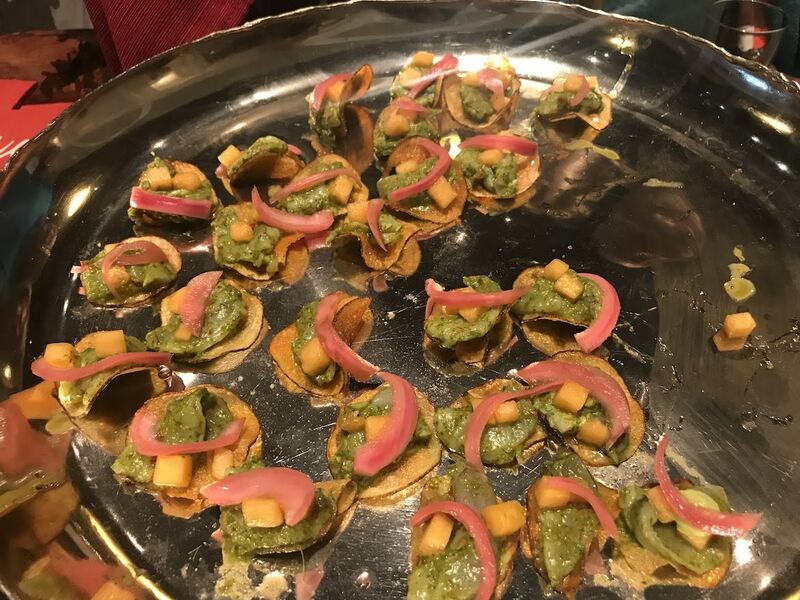 Yours truly sipped, spit and noshed her way through 20 team offerings, along with 700 wine and food lovers, while a panel of three judges, ensconced away from the crowd, tasted them blind. I’m always fascinated to see how my favorites compare to the People’s Choice Awards and the Judges awards. Here are my top picks — and you too can compare to the other results via links at the bottom of the post. This is always one of my favorite wine events, and I highly recommend you put it on your must do list for 2019. 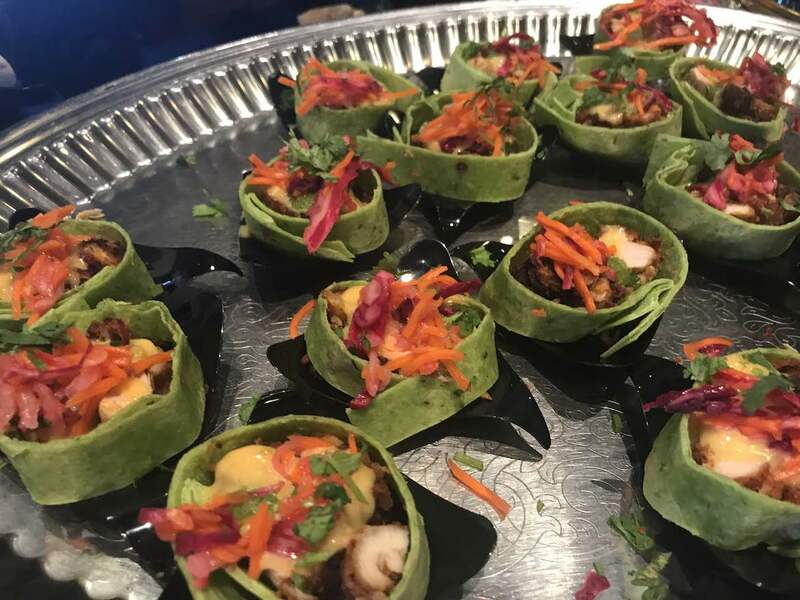 Leave it to maverick Page Mill Winery winemaker Dane Stark to create a vegan pairing with Oakland’s Millennium Restaurant. His 2015 Cabernet Sauvignon, a savory, bold, complex wine, highlighted the rich and earthy black rice and smoked eggplant onigiri (rice ball) with sweet miso star anise glaze. The wine sang with this exotic bite. 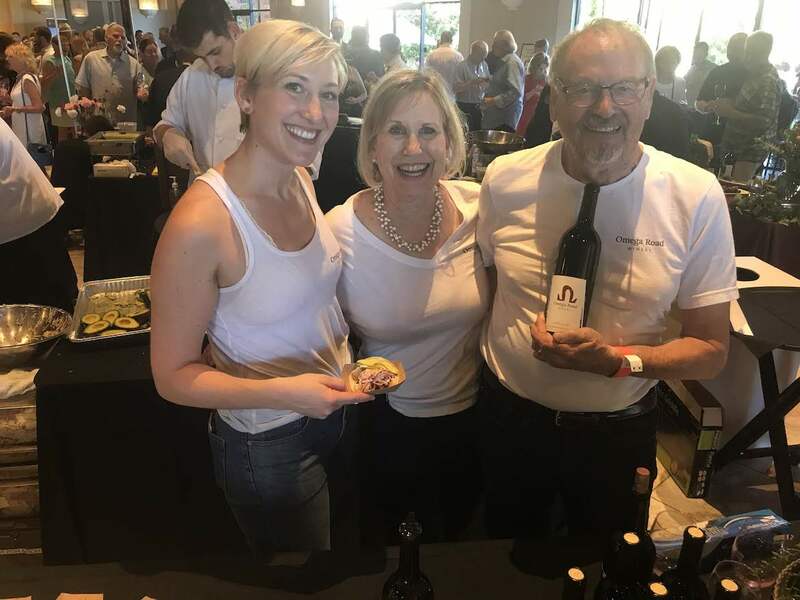 Omega Road Winery is one of Livermore Valley’s newest winery, but winemaking daughter father duo Alexandra Atterbury and Ken Henkelman are hitting it out of the park on their first releases. At TOT I don’t know what inspired pairing their 2015 Petit Verdot, a Bordeaux varietal you don’t see on its own too often, with The Cooperative’s Oxacan mole shrimp street taco, but I’m glad they created this tasty pairing. Shrimp tacos and an intense red wine? Yes please. The chocolatey, nutty mole enhanced the wine’s ripe black fruit and savory bitter chocolate finish. 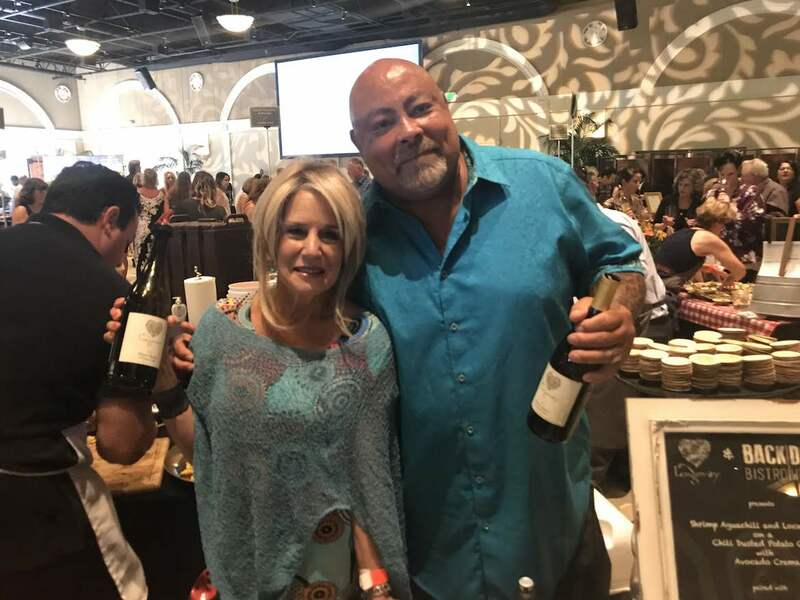 • Phil and Debra of Longevity Wines always bring it at Livermore’s Taste Our Terroir food and wine pairing competition. Their zippy and juicy Pinot Blanc (top white wine at the 2018 TriValley Uncorked competition) balanced BackDoor Bistro’s creamy and spicy shrimp aquachili with melon and avocado crema, making me want to go in for another bite (which I did). 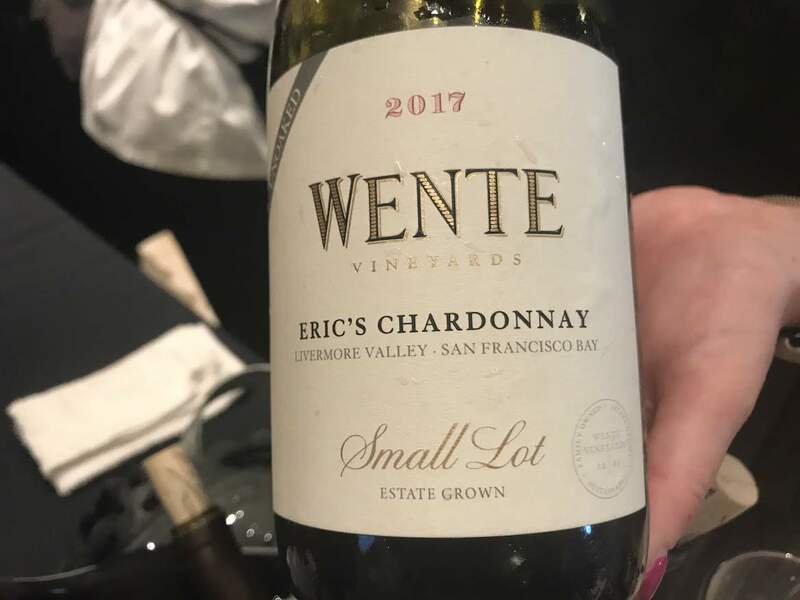 • The Restaurant at Wente Vineyards chef Mike Ward offered up wine cured salmon with white soy avocado mousse and fresh wasabi green apple relish on taro root chip with the unoaked Wente Eric’s Chardonnay. The zesty chard cut through the fatty salmon and luscious avo mousse. 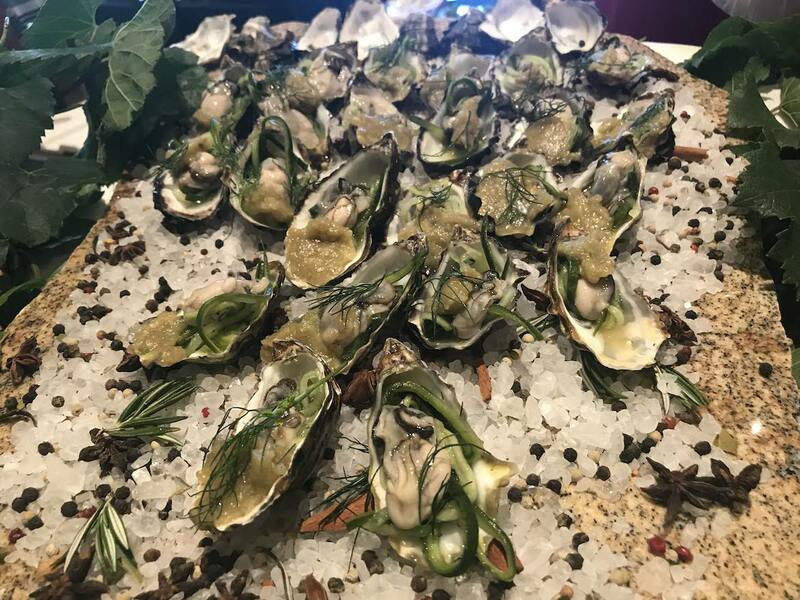 • The chefs at Zephyr Grill deserved an award just for the sheer amount of oysters they shucked on the spot! 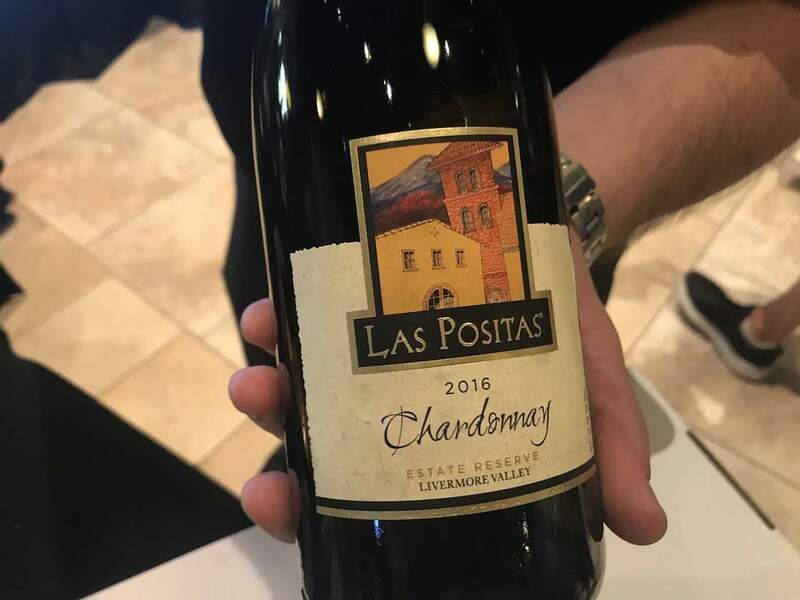 They pickled and topped those babies with smoky eggplant caviar and briny pickled cucumber (that went with the briny oyster) to bring out the 2016 Las Positas Vineyard Reserve Chardonnay’s creamy texture and tropical fruit notes. 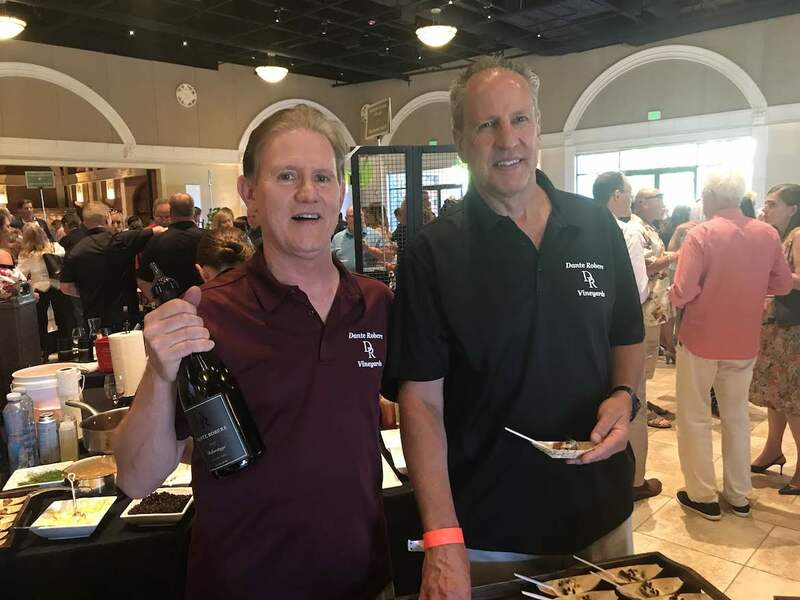 • The wine food match by Bob Bossi and Dan Rosenberg created with their Dante Robere Vineyards Roberitage Syrah Cabernet Sauvingnon blend and Jeffrey Catering’s merguez spiced lamb on polenta w/ fennel and red currants reign was a gustatory delight. The spices danced on my tongue, and the super smooth wine brought out the lamb’s gaminess (a flavor I like) and played well with the fennel notes. 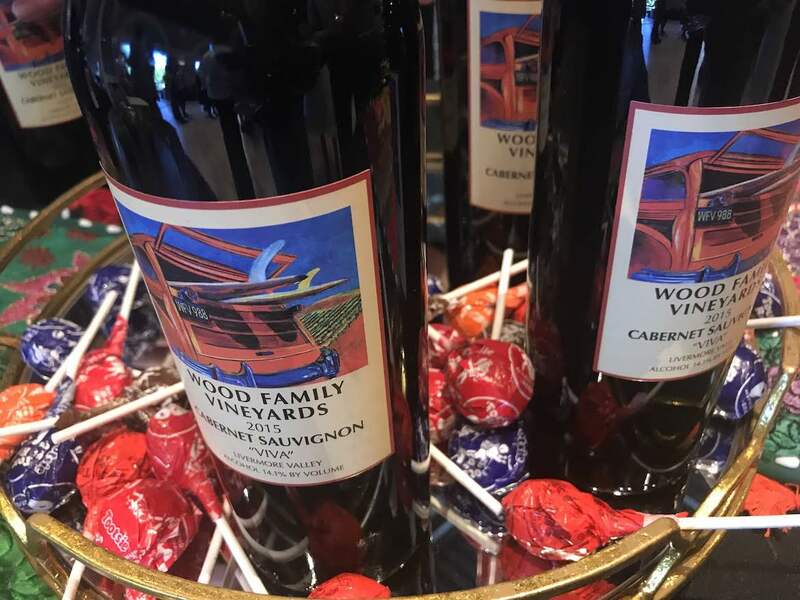 • Wood Family Vineyards is always a crowd pleaser. 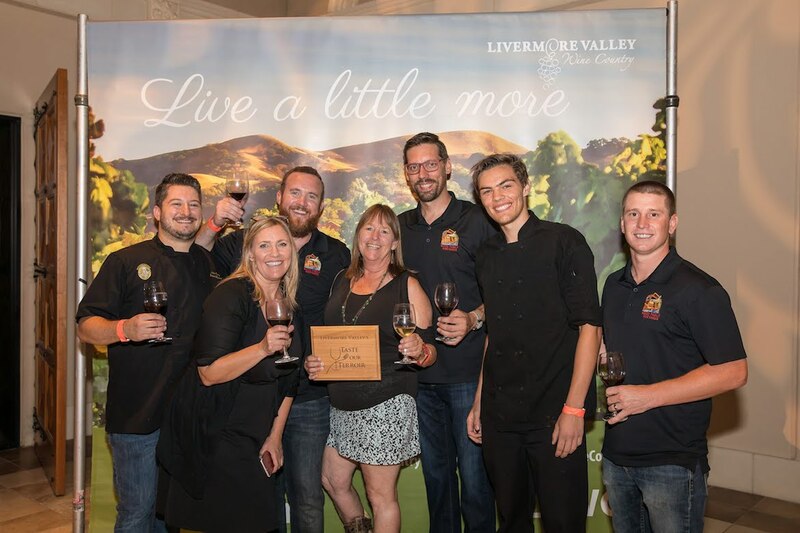 Winemaker Rhonda and her son Harrison were pouring the velvety and lively 2015 Viva Cabernet Sauvignon, a spot-on match for First Street Ale House’s curry fried chicken wrap with mango aioli and pickled vegetables. I could eat and drink this combo every day, thanks to the play of crunchy and creamy textures, earthy spice and the easy drinking herbal, savory and rich, fruity wine. 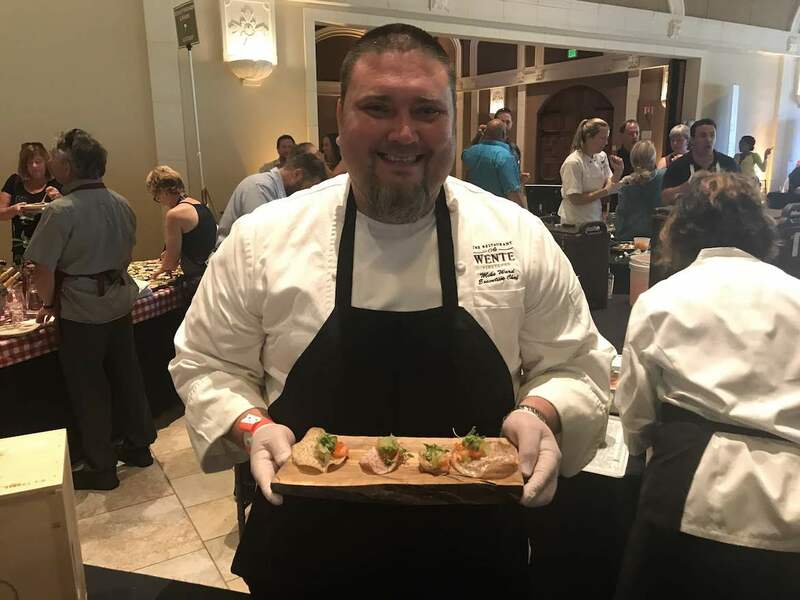 • The wine and culinary team at Murrieta’s Well had a match made in heaven. 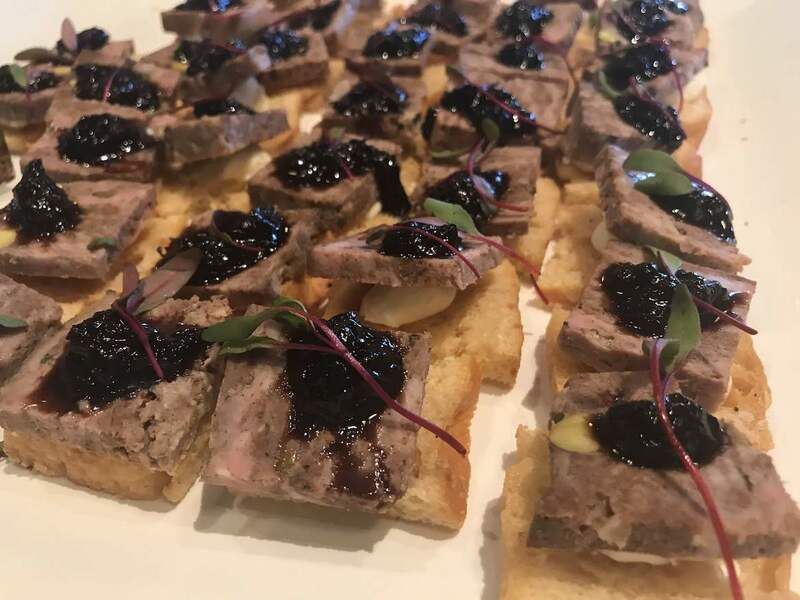 They paired the 2016 Small Lot Tempranillo with a pistachio-studded Provençal pork terrine, crowned with a sweet and sour balsamic vinegar-macerated cherry jam. The dishes coriander, nutmeg, clove and pepper notes amped up the fruity Tempranillo’s tart cherry and spice rack flavors.